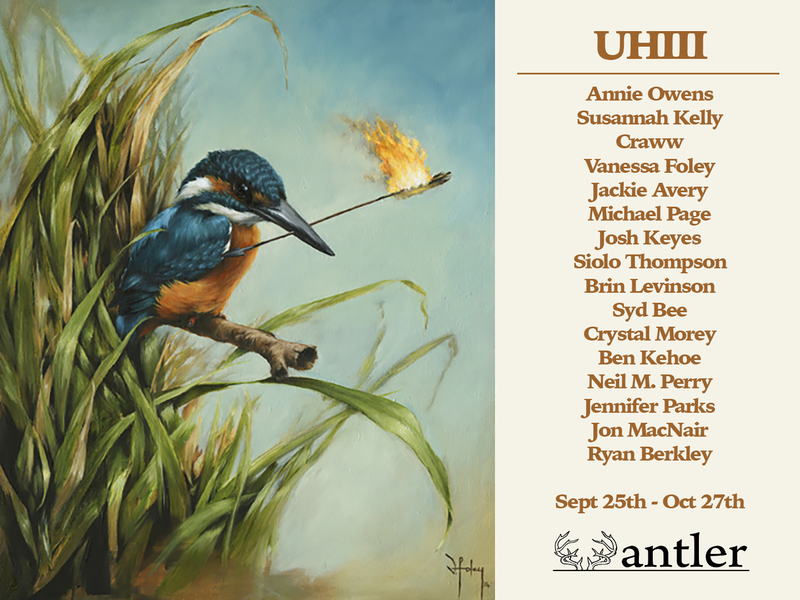 I will have a sculpture in Unnatural Histories 3 at Antler Gallery, opening this September 27th. I am so happy to be included in this wonderful show, with an amazingly talented group of artists. 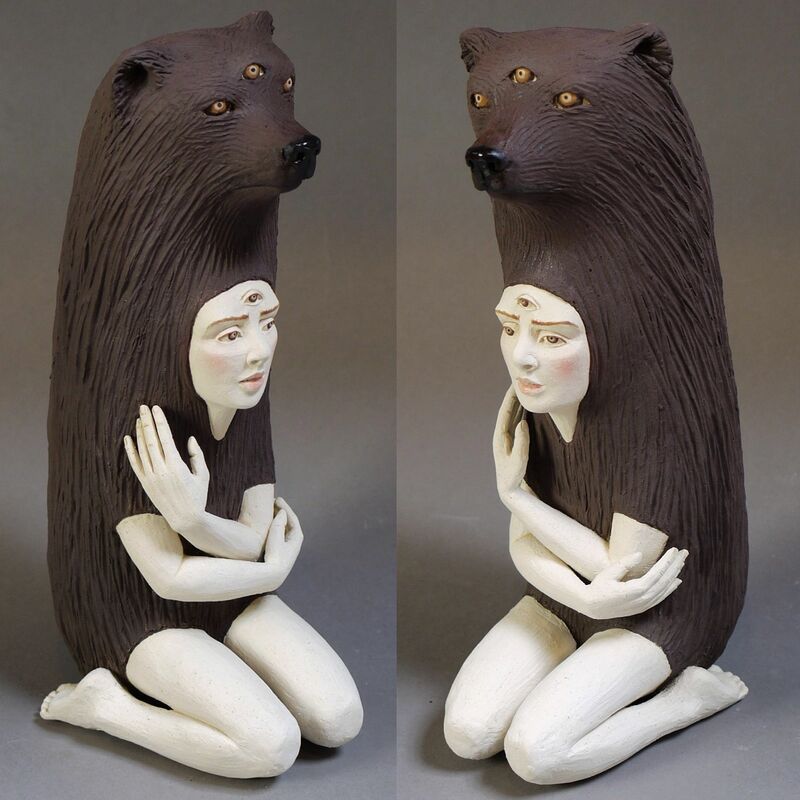 After the mass decline of many of our natural habitats, humans, along with the other members of class Mammalia, found it necessary to share shelter, resources, intellect, instinct, and intuition. Humans had no other choice except to return to natural ways of existing. Bears, being one of the largest land predators, were acutely affected by the rapid change in seasons, habitat loss, and scarcity of prey. 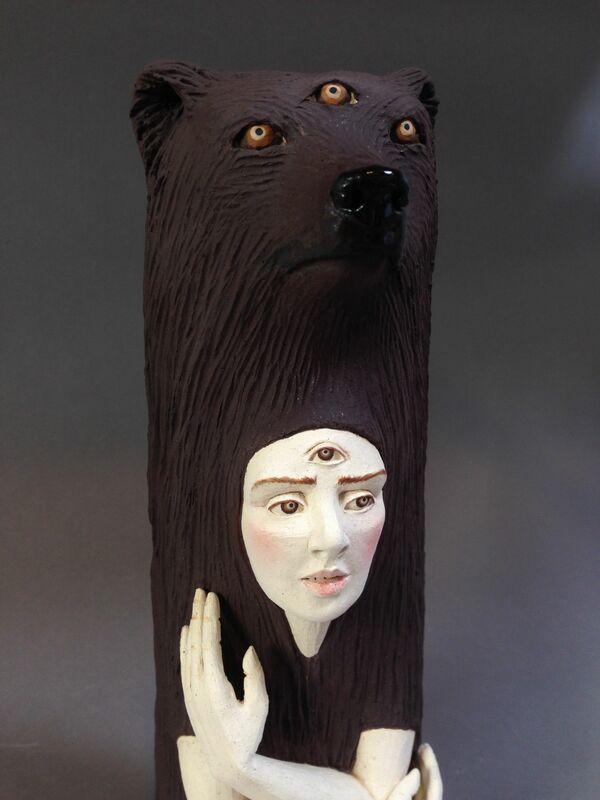 Having similar needs, humans and bears observed mutual traits in one another and adapted into a subspecies we now know as “Homo-hybrida ursus .” The function of the third eye adaptation is still unknown, though there are many who believe it is meant to see and warn against future disruptive events.